When I was considering what to write about this week, I originally thought about Beltane. 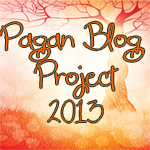 Ultimately I decided to do separate posts for the sabbats that mark the wheel of the year. Instead I am writing about burdock. Burdock is a weed. It grows wild in my yard whether I want it to or not. Every year I pick the burs out of my pet's hair and off my clothes. But like most things there is more to this unassuming plant than meets the eye. Last year when the burdock plants began growing, I was not sure what they were. So I left one of the plants alone so it could fully mature to make identification easier. In early summer, the plant became infested with aphids. It was quite severe and the aphids were aided by ants who milked the aphids for their sugary excretions. I didn't want the aphids to move to my vegetable garden, so I left them alone where they were. A few weeks later, the aphids were all gone. What happened to the thousands of aphids? Lady bugs. The burdock had summoned allies is the form of lady bugs. They laid their eggs on the plant and when they hatched, the ravenous larva ate every aphid on the plant. What I learned from the burdock plant was that even when it seems like you have insurmountable problems, when you are surrounded by those that want to pull you down, nothing is impossible with the help of friends. the wise knowledge of the cicle of life!!! Great photos! I've always wondered exactly what burdock looks like. As far as I can tell, it doesn't grow easily where I live. Very cool post, I always wondered what burdock looked like, it's so pretty! I love learning about new plants/weeks both the magickal and herbal medicinal qualities. Thanks for the info. I didn't know the plant was edible - I think this year I plan on leaving it alone in my community garden. Have you eaten it? What does it taste like? I will be looking for this plant this year. Thank you! this was really interesting cheers!! I've never seen burdock either, so another one grateful for the pictures! This is an interesting, informative post. Thank you. OMG I LOVE BURDOCK. I have been collecting it for years. I actually collected a lot of this, its in a jar in my closet. Every once in a while I just open the jar to smell it - because it smells great. It has a lot of uses magical and mundabe like:Often combined with dandelion or yellow dock, burdock root is an effective blood purifier used to treat psoriasis, eczema, oily skin, acne, boils, and gout. As a food, burdock root is eaten as a medicinal vegetable, cooked by steaming or used as an ingredient in stir-fry. The raw burdock root is excellent when grated and marinated. Soup is prepared by boiling pieces of the fresh burdock root along with other root vegetables, shiitake mushrooms, and edible herbs (astragalus, codonopsis, etc.) until all ingredients are tender.The roots are also collected and roasted for a coffee substitute. Magical: add some burdock to wash-water and use around your home to ward off negativity. It may also be used to purify. Protective incense and spells benefit from the addition of this common plant.